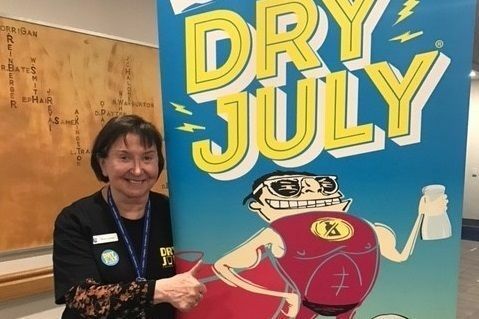 Sign up to Dry July Australia 2018 and raise funds for St Vincent's Hospital Sydney. St Vincent’s Hospital Sydney is a leading provider of cancer care for patients across New South Wales. Support us today to help us raise money to sustain wellbeing and hardship programs for our cancer patients. With your support St Vincent’s Hospital Sydney will be able to continue to provide wellbeing programs for our patients having their cancer treatment at The Kinghorn Cancer Centre. 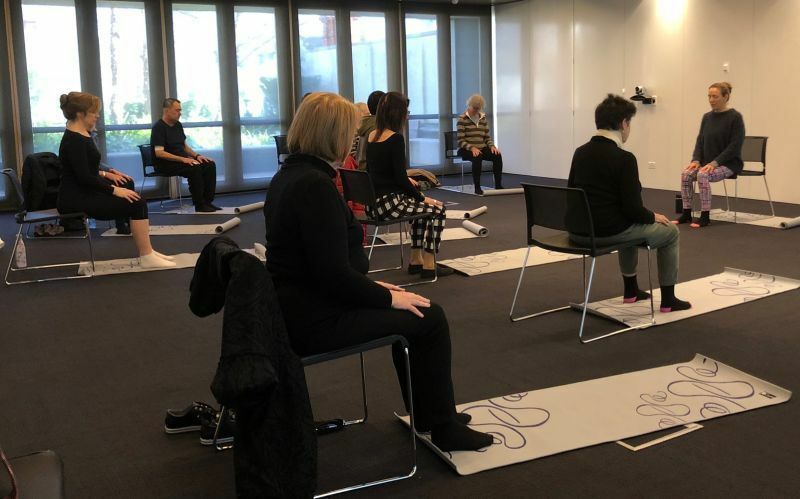 Comprehensive on-site group programs such as art therapy, meditation and mindfulness, Yoga therapy and healthy lifestyle programs have been shown to support patient’s physical and mental wellbeing and recovery, at all stages of their treatment. This year, your support will also allow St Vincent’s haematology inpatients to access free wellness therapies during their hospital stay, including bedside art therapy, music therapy and reflexology. These therapies provide enormous support and provide a distraction from the many days and weeks spent in the ward, as a result of a blood cancer diagnosis and treatment. The Kinghorn Cancer Wellness Centre is thrilled to announce that the first Group Wellbeing Programs for 2019 are underway, made possible by the generosity of our Dry July fundraisers. Our group programs aim to make the burden of a cancer diagnosis and treatment a little easier, connect patients with each other, allow creative expression and impart new skills to take into everyday life. We're proud to announce that St Vincent's Hospital, Sydney has received a grant from the Dry July Foundation 2018 Grant Program. Dry July 2018 has officially kicked off at St Vincent’s and we are well on our way to raising the funds required to support our popular patient wellbeing programs in the Wellness Centre. Our Kinghorn Cancer Centre fundraising team are at the halfway mark and feeling the benefits of two weeks alcohol free! 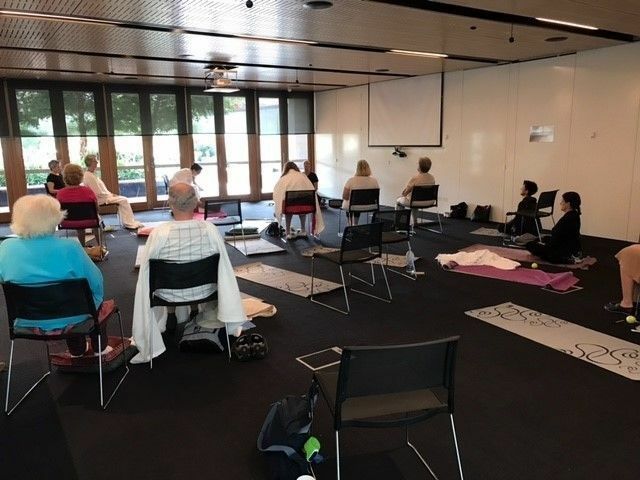 Over the past 12 months, with funding made possible from last year’s Dry July campaign, our Cancer patients have thoroughly enjoyed attending free programs including Art Therapy, Meditation and Mindfulness, Yoga Therapy and ENRICH Healthy Lifestyle. 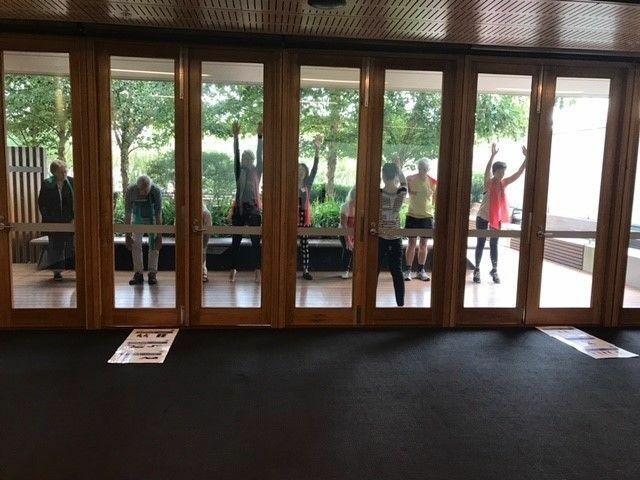 This month, our Yoga Therapy group began their weekly sessions, coming together for the next six weeks to enjoy a moment of stillness, reflection and time out from their treatment schedules. 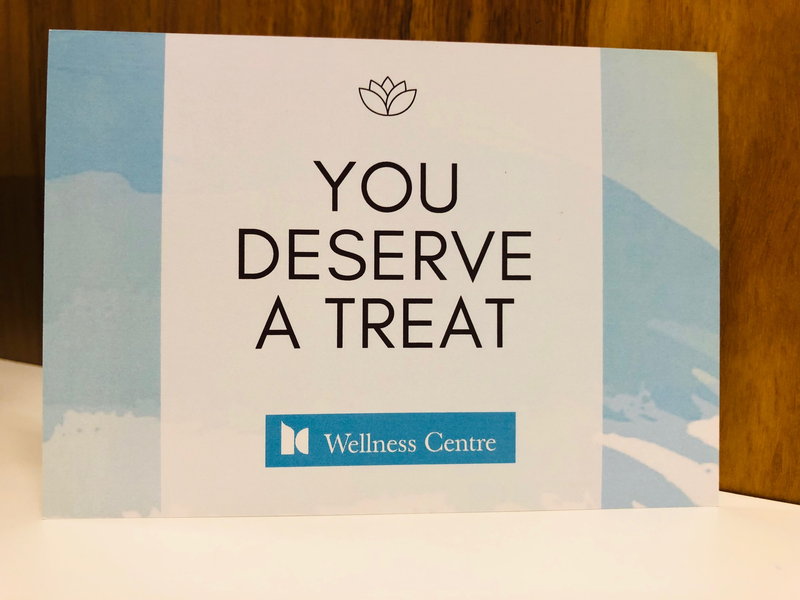 These funds also make it possible for our patients to access free complementary therapies such as Oncology Massage and Acupuncture, providing much needed relaxation and relief from symptoms such as nausea, fatigue and anxiety. Your support of St Vincent’s Hospital Sydney this Dry July is vital to continue these wellbeing programs in 2019. 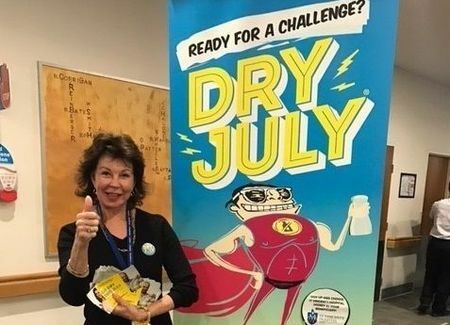 Keep your eyes out for the wonderful St Vincent's Hospital Sydney volunteer network who are working hard to spread the word about Dry July 2017 and how each dollar raised will go to support Cancer services. This year, funds raised will be spent on ensuring cancer patients are supported through free Wellbeing programs to include Meditation and Mindfulness, Art Therapy and ENRICH Healthy Lifestyle groups. In addition, money rasied will allow our Social Work department at St Vincent’s offer and assist patients with finanical difficult, whom are required to travel by public transport to and from treatment each day, taxi vouchers to ease the burden of travel for them during such a difficult time. 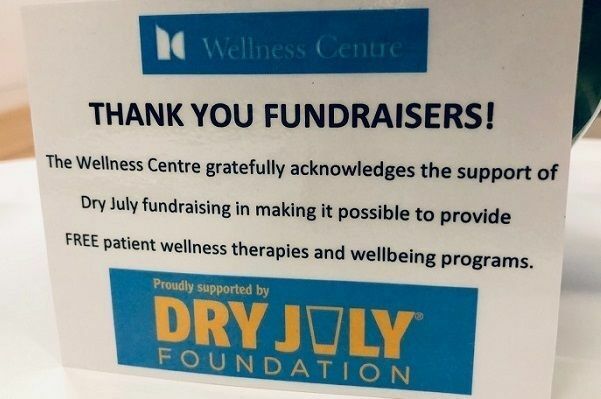 The Dry July money will also go toward purchasing individual fridges for each patient room in the new purpose built Bone Marrow Transplant Ward. We know these programs will assist to make a cancer experience that one little bit easier for our patients – Please help us achieve this by supportinig St Vincent’s Hospital Sydney this July. 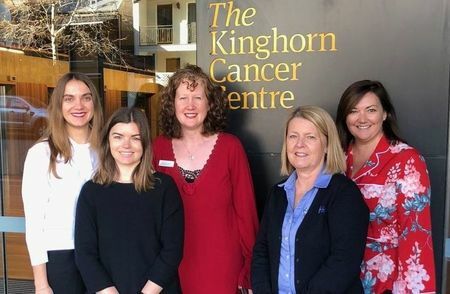 Dry July funding is making a difference to the lives of patients at Kinghorn Cancer Centre in Sydney. “I would like to convey appreciation for the extremely relaxing and informing group sessions at the Kinghorn, as I look forward to a continuation and broadening of this experience as I journey through your sessions. Over a long period of time, my brain has become accustomed to automatic worry and deep sadness relating to chronic external complications, sensitised yet further by a traumatic life-threatening experience. I found the meditation and ENRICH sessions extremely welcoming, encouraging and enabling. My mind has been introduced to a surprisingly accessible healthful ways of thinking within a manageable, structured approach that I already see promotes daily practice and thus habit formation. I hope you are enjoying delivering the sessions as much as the group must all be deriving enormous inner peace whilst developing life-enriching practices.